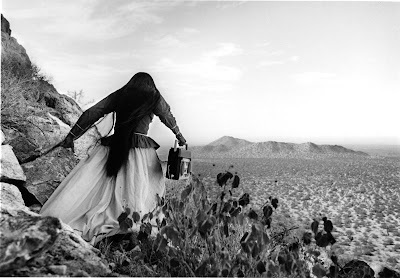 Graciela Iturbide from Mexico is one of the true masters of photography. For us living in Sweden it is a special feeling to know that she will be in Gothenburg on 25 October to receive The Hasselblad Foundation International Award in Photography of 2008. The Hasselblad Prize is sometimes called the Nobel Prize of Photography and we could not think of a better choice for this award than La Maestra Graciela Iturbide. From a Swedish perspective we are glad to learn from a chat with Graciela on the Hasselblad site, that she has visited Sweden several times and that she is familiar with and highly appreciate the work of photographers like Christer Strömholm and Anders Petersen. 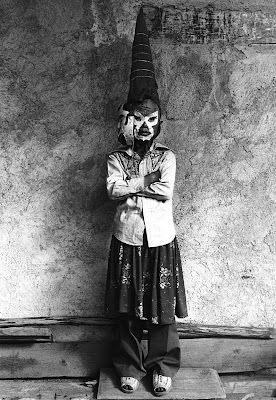 The F Blog is very proud to be able to present a selection of Graciela Iturbide's work. These photographs have been selected by her personally and are provided by Galería López Quiroga in Mexico City. We dedicate this weekend of the F blog to Graciela. The news says that Sweden is right now the warmest and sunniest place in Europe. We believe that it has something to do with the warmth emanating from Mexico, La Maestra Graciela Iturbide and her photography. There is magic in everyday life, she has shown it to us in her pictures from Mexico and elsewhere. Her work is a gift to all of us, regardless of nationality or ethnic origin. Please stay tuned to this magic, continuing tomorrow with an interview given by Graciela exclusively for The F Blog. A selection of other publications: Los Que Viven en la Arena (Those Who Live in the Sand), 1981; Sueños de Papel (Dreams of Paper), 1985; Juchitán de las Mujeres (The Women of Juchitán), 1989; En el Nombre del Padre (In the Name of the Father), 1996; La Forma y la Memoria (Form and Memory) 2002; Pájaros (Birds), 2002; India México, 2004; Eyes to Fly With, 2006; Roma (Rome), 2007; Juchitán, 2007. 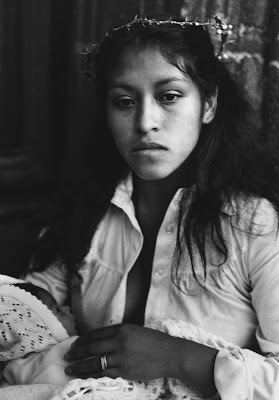 Upon the launch of the Juchitán series she received the prestigious W. Eugene Smith Award in 1987. 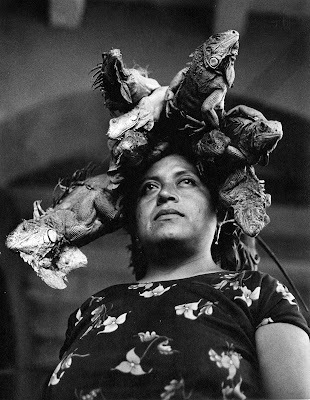 Graciela Iturbide has exhibited widely at major institutions and museums around the world, including the Centre Georges Pompidou in Paris. Her photographs have recently been on exhibit at the J. Paul Getty Museum in Los Angeles. Her work is in major collections in Latin and North America, and in Europe. 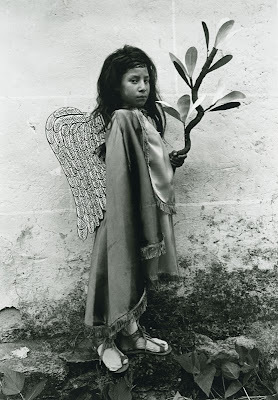 The Graciela Iturbide weekend on The F Blog is a cooperative effort by Beatriz Rowland, Fredrik Skott and Ulf Fågelhammar.